Today, I'm thankful that I'm an aunt! I met Maya less than 24 hours ago, but I already think she's the greatest thing ever! 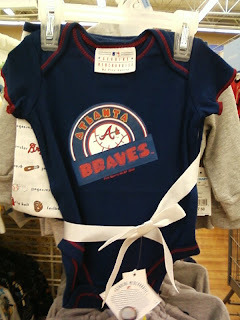 We went shopping today at Wal-Mart and I found her a Braves onesie that came with a blanket. 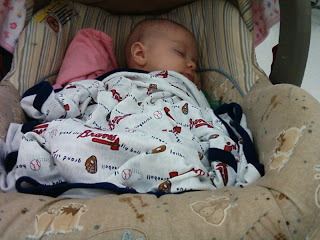 She hasn't worn the onesie yet, but she's used her blanket. Maya likes that she'll be able to share this with all her future siblings - brothers and sisters!